RM Europe has more than 20 years experience in Japanese <–> English interpreting and translation training. We don’t only teach English to Japanese but also Japanese to English to give our students an all-round training. Courses are for beginners up to professional level. Whether you are new to interpreting or translation or as a professional you need to tweak or improve your skills, we have the right course and training for you. These are very practical and vocational courses with lecturers experiencedprofessionals and the course material and curriculum similar to what you would expect to tackle on an interpreting or translation job. We hope our students can go on to become freelance or in-house interpreters and translators and we give them the tools to achieve these goals. 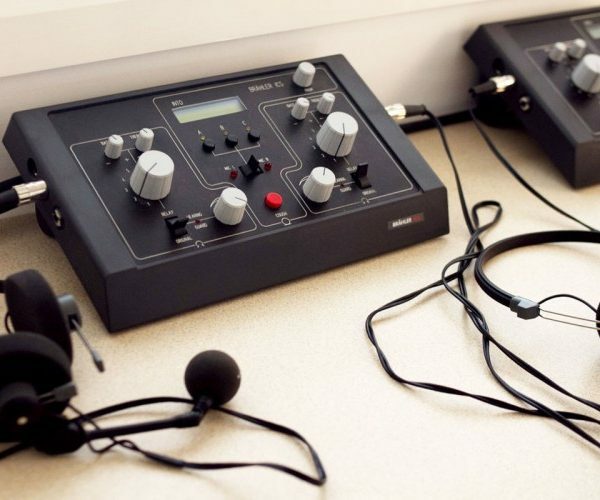 Class equipment includes: Language Laboratory and Modern SimultaneousInterpreting booth. We also offer OJT (On the Job Training) to the best students in order to give them professional experience. We also look for professional interpreters and translators since we are requested to undertake many jobs throughout the year. Interpreting jobs can be liaison, consecutive, simultaneous and translation into bothEnglish and Japanese and in all areas of expertise. So please contact us if you would like us to represent you. Registered Office | 56A London Road, Apsley, Herts. HP3 9SB.